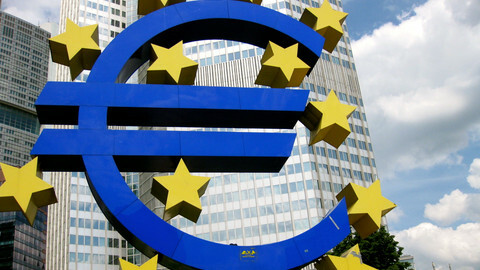 The European Central Bank (ECB) on Thursday (2 August) said it "may" intervene on the markets to buy bonds to help Spain and Italy lower their borrowing costs, but only if governments first sign reform pledges with the eurozone's bailout fund - a German demand. "The ECB may undertake outright open market operations of a size adequate to reach its objective," ECB chief Mario Draghi said in a press conference in Frankfurt after a meeting of the bank's governing council, formed of central bankers from all 17 eurozone countries. He said the board had discussed at length how countries' borrowing costs have hiked in recent weeks, in what he called a "severe malfunctioning" of bond markets. Spain's 10-year bonds have been sold at a record-high interest rate of 7.6 percent, a level considered to be bailout territory. 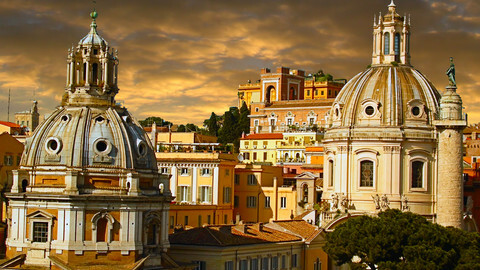 Italy's already high debt is also ballooning due to rates above six percent. Draghi explained that these costs are reflecting "fears of the reversibility of the euro," something he considers "unacceptable." "The euro is irreversible. This means we are not going back to the drachma, lira. It is pointless to bet against the euro," he noted. However, the 'big bazooka' expected by market participants on Thursday failed to materialise, as Germany's central bank insisted that no bond purchases can be resumed without strict conditionality. Last year, the ECB helped out Italy and Spain after having obtained a gentleman's agreement from Italian PM Silvio Berlusconi to start some structural reforms. 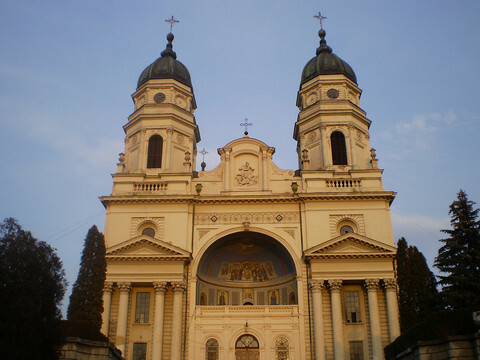 But once the bank started buying the bonds on the open market, Italy's borrowing costs dropped and the reforms were put on hold. 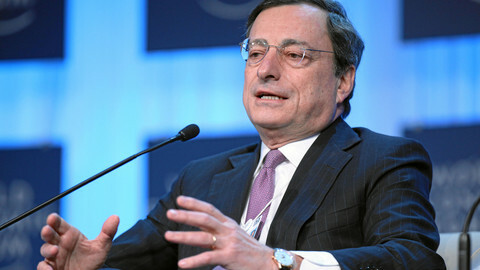 A different strategy is in the making "in the coming weeks," Draghi said. ECB staff are looking at ways to connect the bond-purchasing programme to the eurozone bailout funds, which can also buy limited amounts of bonds provided governments sign a "memorandum of understanding" laying out specific reforms. "Monetary policy cannot replace the lack of government action. Conditionality is essential and the counterpart in conditionality is the EFSF," Draghi said, in reference to the existing, temporary bailout fund. Markets plunged on the news that a highly-expected intervention would only come in September at the earliest, pending the analysis within the ECB's own services. September is also the month in which the permanent bailout fund (ESM) is expected to come into force, after a ruling of the German Constitutional Court. The ESM will have similar rules to the EFSF, allowing it to buy bonds only if a country makes a formal demand and signs a memorandum of understanding. This was a German precondition to guarantee that taxpayers' money backing up the two funds - worth almost €1 trillion - is not wasted. 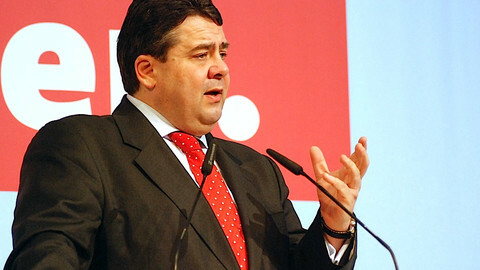 "It's clear and it's known that the Bundesbank has its reservations about the programme of buying bonds. The idea is we now have the guidance, the monetary policy committee, the risk committee and the markets committee will work on this guidance and then [we] will take a final decision and the votes will be counted," Draghi said. He said this is not a "backing down" from comments made last week, which raised market expectations. 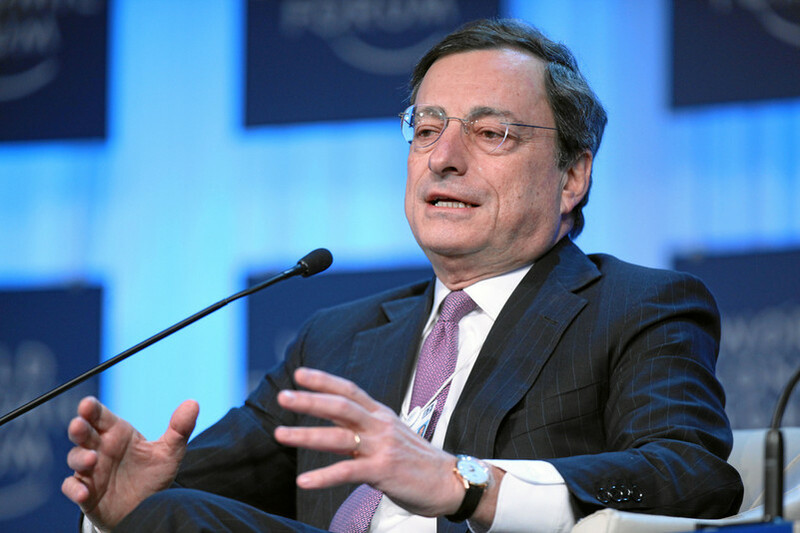 "This isn't the Draghi you're looking for," US economist Paul Krugman wrote on his blog. "No concrete action from the ECB, just vague statements of intent. It looks as if European leaders have once again failed to rise to the occasion — even as all indicators are that the ongoing euro area recession is rapidly deepening." ING Bank economist Carsten Brzeski also wrote in an emailed note: "Draghi misses out on Olympic medal." He said it was the ECB chief's fault for having pushed himself into a "very uncomfortable corner" after comments made last week which were promptly contradicted by the Bundesbank. "Clearly, today's press conference was a cold shower for these expectations," he added. 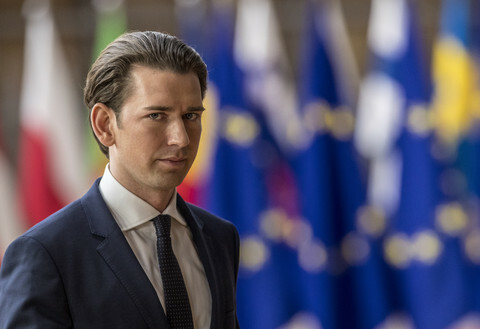 The German opposition has endorsed plans for a national referendum on creating a full-blown fiscal Union. 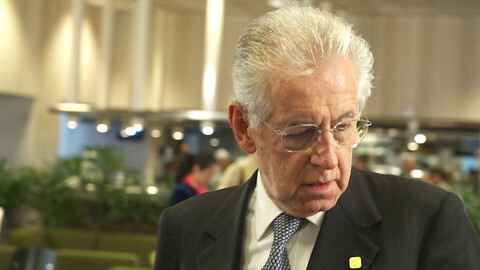 Italian leader Monti has won support for another €4.5 billion worth of cuts. But data shows a worsening recession and rising borrowing costs. 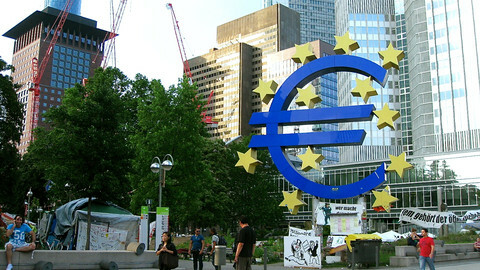 The European Central Bank has condemned media reports about a bold plan for the bank to bring down eurozone government borrowing costs but has not denied the idea outright.